This is an add-on for searching the optimal lighting for the scene by iterating through the number of environment images. Specify the directory with an environment images, set a number of frames for the single image, enable brute forcing and play timeline animation. All environment images will be consistently applied to the scene. Every image in its frames diapason will be rotated at a certain angle to turn 360 degrees totally. 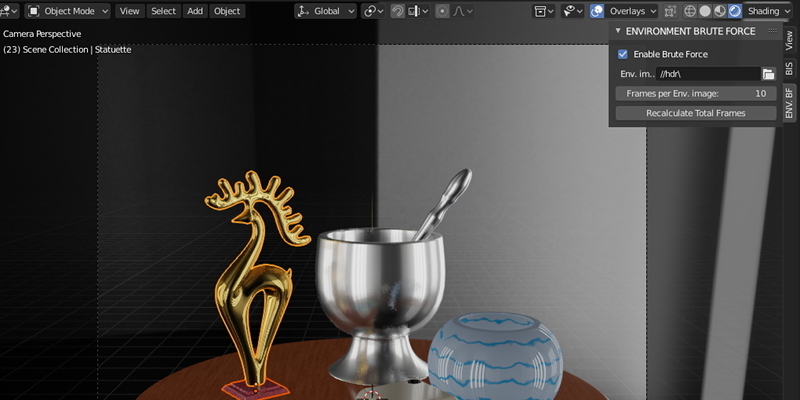 The animation render (by ctrl + f12) results in an image sequence of the scene with different types of environment with different angles of lighting. Output file names appended with the currently used environment image name and its current rotation angle. 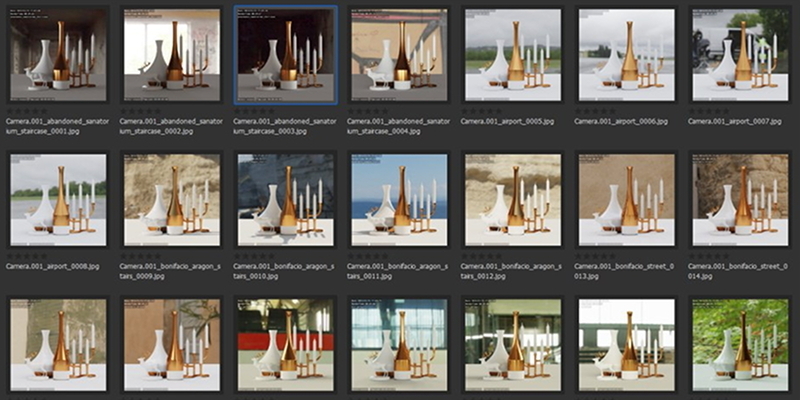 You can search the image sequence for the best scene lighting to use it in the final render. This add-on is only for Blender v.2.8, earlier versions are not supported. Enable the "recalculate total frames" for automatic total frames recalculation after specifying the environment images directory.